The Best Meat Restaurants in Lyon - Where to eat good steaks and ribs. The city offers plenty of options for food lovers, and meat restaurants are no exception. From barbecue joints to more original concepts, there are many places in Lyon to please your taste buds. Lyon is called the capital of food for good reason: it has something to offer for everyone, and meat restaurants happen to be an integral part of the expansive food and drinks scene. Here is a list of the best meat restaurants in Lyon, from barbecue joints to steak to burgers and so much more. After classic southern BBQ? Look no further than New World Smoke. This Texas-style barbecue restaurant, located in the 5th arrondissement on Rue Saint-Georges, is worth every penny. The atmosphere couldn’t be better, from the American accent behind the counter, to the Texas radio playing in the background and of course, to the delicious meat collection. 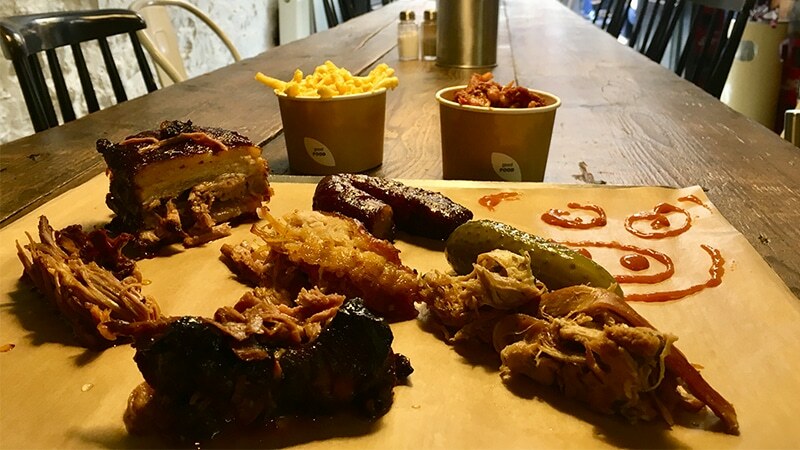 Greg and Lee, originating from the United States and South Africa respectively, combine their love of meat and their knowledge of the smoking process to bring every plate coming out of their kitchen to the next level. 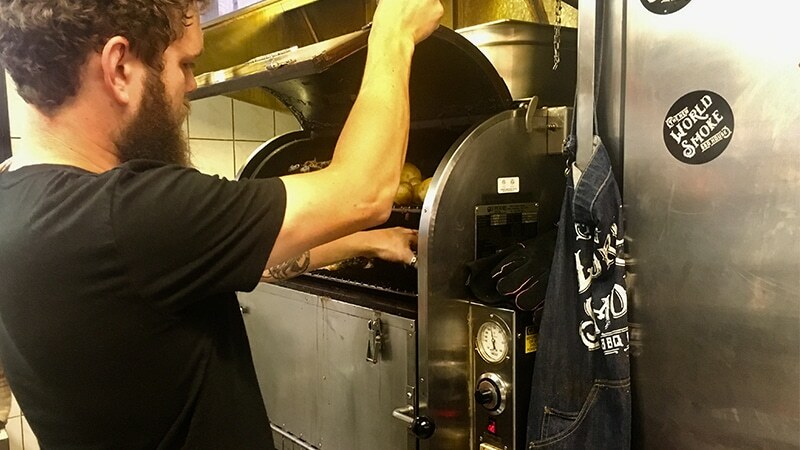 Every meat on the menu is smoked with oak wood in a traditional Hickory smoker, directly imported from the United States. The pulled pork sandwich, the Black Angus beef steak and the rack of barbecue ribs, accompanied with a chipotle-based BBQ sauce, are too good to miss out on. A visit to the New World Smoke is like a taste of America. The menu and the relaxed atmosphere make you think instantly of a traditional barbecue joint from Texas. Menu of 16€ with pulled pork sandwich, side and drink. 3, rue Saint-Georges, Lyon 5. Open Wed-Sun 7pm to 11pm (12pm to 3pm on Sat-Sun). The American adventure is on display in Delicatessen from the first step to the tip jar upon departure. Each small detail of the restaurant was carfted to transport patrons to the United States, while never leaving the 1st arrondissement of Lyon. 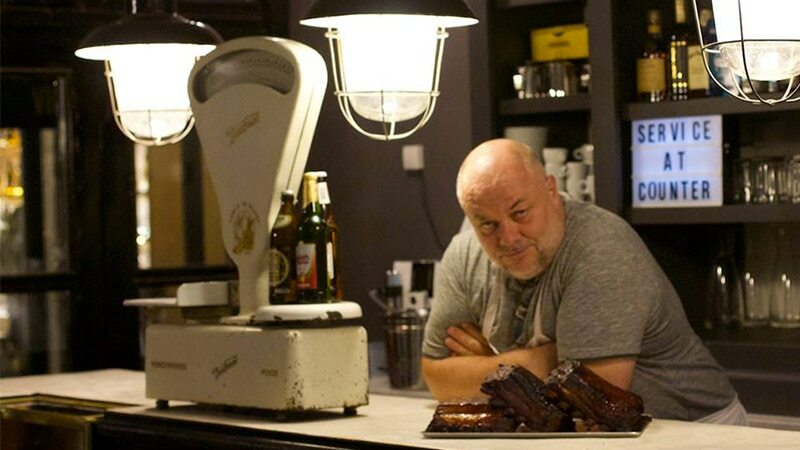 Delicatessen is run by several family members, who each greet the customers with conviviality. And if you’re lucky, the owner Brice will offer up some great stories. 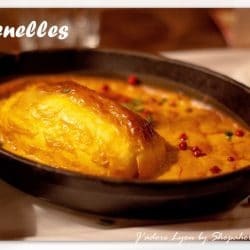 He successfully transported the American way-of-life he discovered during his years on the East Coast with his children to Lyon, and the food embodies that spirit to perfection. All the meats are slow-cooked and smoked following family recipes, bringing an off-the-charts tenderness to any produce. Select your meats at the counter from a selection which includes maple syrup pork shoulder, caramelized free-range pork ribs, and brisket, all of which go hand in hand with delicious sides, such as baked beans and creamy mac-and-cheese. The American experience is magnified with traditional iced tea in a Mason jar – every small detail counts in this journey across the Atlantic. Best mac-and-cheese in Lyon on the side. 38, rue de l’Arbre Sec, Lyon 1. Open Mon-Sun 12pm to 2pm, 7pm to 10pm. The gathering place for all the steak lovers in Lyon must be at the Franklin’s Steakhouse, in the Presqu’île near Place Carnot. 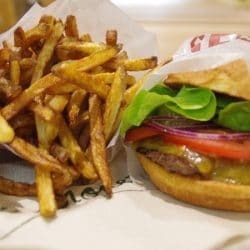 All the meats are certified USDA Prime Black Angus Beef and imported from a Kansas farm, which is pretty rare in France. Besides world-class meats, freshly-chopped beef in burgers and the unique knowledge of dry-aged steak contribute to the fame of this typical American steakhouse. The menu lists plenty of American selections, including homemade potatoes and onion rings as sides, gourmet burgers with juicy beef patties, barbecue ribs with house-made Hickory sauce and, of course, large and exquisite portions of steak. 41, rue Franklin, Lyon 2. Open Tue-Sat 12pm to 2pm, 7pm to 10pm. Of Lyon’s many conceptual restaurants, one stands out when it comes to meat: L’Argot. This butcher shop of the 6th arrondissement, a stone’s throw from the old Brotteaux train station, becomes a restaurant for lunch and dinner. Splendid dry-aged and regular meats (both delicious!) are available for sale and also for cooking in the shop’s kitchen. For just 14€, you can select your meat from the market stalls and taste it minutes later on your plate, cooked to perfection. If you’re after a more complete meal, a full menu also offers appetizers, meats, desserts and wines. Your weekly grocery shop no longer needs to be dull or tedious, thanks to L’Argot. Meats « à la carte » with an extra 14€ cooking fee. 132, rue Bugeaud, Lyon 6. Open Tue-Sa from 12pm to 2pm, 7pm to 10pm. 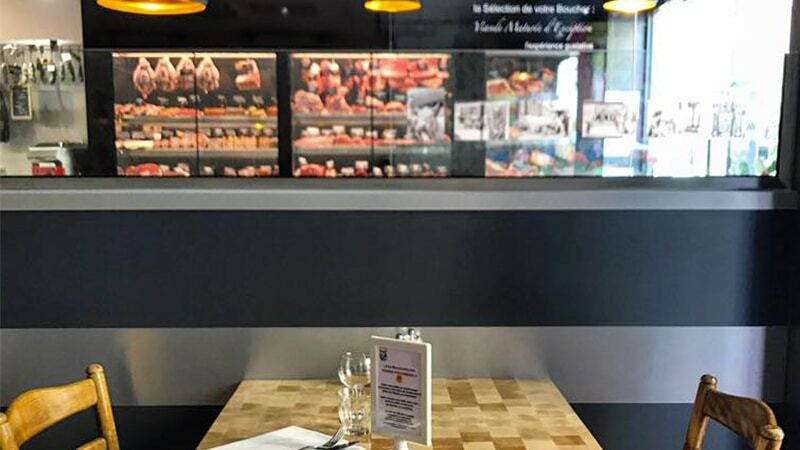 Whether you’re visiting the Halles Paul Bocuse in the 3rd arrondissement as a tourist or just grocery shopping, we suggest that meat lovers stop in Les Garçons Bouchers for lunch. Traditional French-style meats, such as beef tenderloin with rognons, steak tartare or duck breast chops, await in the closed market aisles. 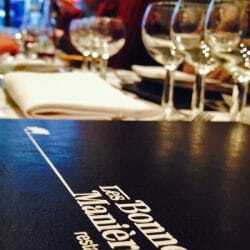 Appetizers, mains, sides and desserts are offered from the finest of the French meat culture. The foie gras hamburger is definitely worth it and the right sauce combination makes all the difference. 102, cours Lafayette, Lyon 3. Open every day from 12pm to 2pm. Modernity has infiltrated meat restaurants in Lyon, and Butcher is no stranger to this evolution. The up-scale spot offers a premium selection of meats and burgers, featuring the best selections of beef like Wagyu and Black Angus. The 8€ bone marrow is a particularly interesting choice for starters. However, what sets Butcher apart is the selection of cocktail drinks (from 8€ to 15€), made by one very passionate bartender. Pair a spiced Moscow Mule or classic Old Fashioned with a delicious cut of meat and your taste buds will rejoice! The restaurant can host private events, with a one-week notice. An American-style brunch for 15€ also takes place every Sunday, from 12pm to 2:30pm. A new « Butcher Prescription » cocktail every week for 8€. 30, rue Lanterne, Lyon 1. Open Tue-Thu from 7:30pm to 10:30pm, Fri-Sun from 12pm to 2:30pm and 7:30pm to 10:30pm.